My parents have an enchanted back yard. 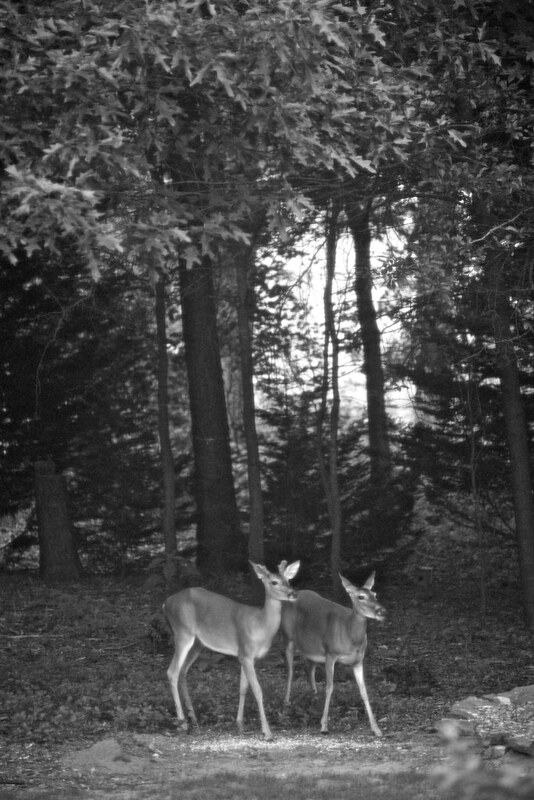 Every couple of nights, the deer show up for a meal during the late evening. How cool is that? Have a great evening folks. Bet you felt just like Snow White! 😉 aww, they are beautiful! We just sat and watched them for half an hour. When they were finished eating, they just strolled away. I don’t think they had a care in the world.